The programs of the competition are those of the baccalaureate + 2 (or the CGE / AL +2). Marks for each written test will range from zero (00) to twenty (20) according to the above mentioned coefficients. 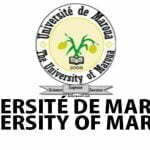 Concours ENSPM Maroua Entrance 2019-2020 third year National Advanced School of Engineering of the University of Maroua.